ASJA (Asia Japan Alumni) International is an international institution established in April 2000 with the support of the Japanese Ministry of Foreign Affairs. The institution receives Japanese government (Monbukagakusho: MEXT) scholarship students from ten ASEAN countries. In addition to supporting educational research at Japanese universities and graduate schools, the exchange program is operated with the goal of having the international students learn Japanese and develop an understanding of Japanese culture and people so that they may become future leaders who act as a bridge between Japan and their home countries. ASJA is an international institution established in April 2000. It initially began with five countries, but currently has members from ten ASEAN countries. Learn more about the exchange programs implemented by ASJA for ASJA-MEXT students and ASCOJA activity support programs. Learn more about the ASJA organization and operations. Learn more about the directors from each country who make up the ASJA International Board of Directors. 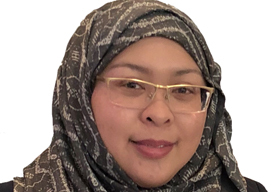 Read a message from Ms. Hajah Najmina Fairuz Binti Haji Abd Latif, Chairperson of the Board of Directors of ASJA International. Read about the history of ASJA from its establishment up to the present day. Learn more about the “Fukuda Doctrine”, the foundation of Japanese foreign policy toward ASEAN, which was announced in August of 1977 by the late Prime Minister Takeo Fukuda. View the location of the ASJA International Secretariat.